Have you been curious about the UA TriBase™ Reign? This article is presented in paid partnership with Under Armour. We receive free products to review and may receive commissions on purchases made through our links. See our disclosure page for details. The term cross training isn’t new to the shoe world, but over the last few years, the needs of athletes have changed quite a bit — and the shoes have changed to match. A lot of this development is spurred by the popularization of functional fitness training, HIIT workouts, and exercise classes (which are getting more and more intense). 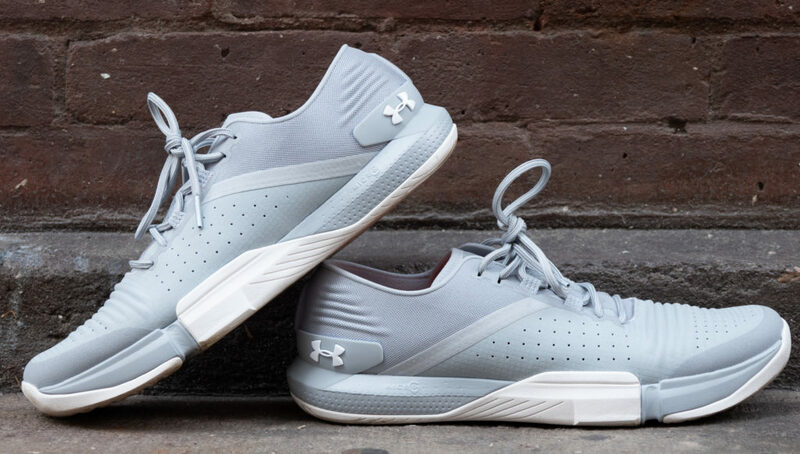 As workouts get harder, cross training shoes get better, and that’s exactly what Under Armour has done with the UA TriBase™ Reign. In the cross training shoe market, it’s tough to find a model that ticks all of the boxes. After all, can one shoe to do it all? A lot of a shoe’s performance comes down to its unique construction. Let’s dive into the UA TriBase™ Reign and analyze how it performs for jumping, running, and lifting. A great jumping shoe will offer construction traits that help promote powerful takeoffs and cushioned landings. The UA TriBase™ Reign excels with jumping for a few reasons, check them out below. One of the unique construction features on the UA TriBase™ Reign is the Micro G® Foam midsole. Unlike other cross training shoes that only offer midsole support under the toe or heel, the UA Micro G® Foam midsole covers the full foot. Micro G® Foam is designed to be 30% thinner than the industry standard, non-reactive midsole foam. This provides Micro G® Foam shoes with a lighter overall weight and low-profile, which helps make them great for jumping. The Micro G® Foam in the TriBase™ Reign excels in jumps for two specific reasons. The full foot midsole is great for responsiveness in both takeoff and landing. The low-profile of the Micro G® Foam keeps this model lightweight and reactive. A great shoe for jumping offers reactivity at take off, and cushion for landing, no matter the height or type of jump. The UA TriBase™ Reign is an exceptional option for anyone performing multiple jumps in their training. Another standout feature on the UA TriBase™ Reign is it’s namesake material: the TriBase™ portion of the shoe. This provides three levels of support, along with calculated flex grooves to promote full ground support where athletes need it most. When jumping, whether it be forwards or upwards, there are two critical periods of time where a shoe’s construction can be make or break. Loading and Arm Swing: The TriBase™ outsole promote full forefoot contact with the ground, which can help propel an athlete forwards or upwards. Think about this like loading up a spring. Take Off: The flex grooves above the toes and calculated TriBase™ outsole both work together to create fast reaction times and seamless maneuverability. The TriBase™ Resign outsole is great because it easily allows all of the toes to grip the floor in jumps. Think about jumping forward only using three or four toes, that’s what using shoes not designed for jumping can feel like. The Under Armour TriBase Reign offers a low-cut boot, and strong outer construction to withstand even the toughest workouts. 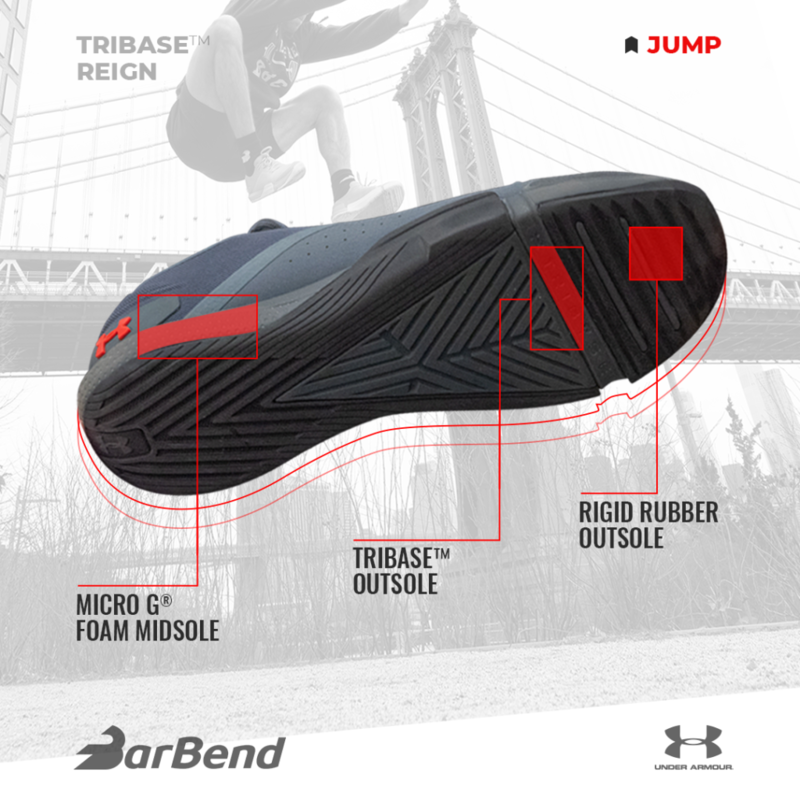 The final jump-friendly construction feature of the UA TriBase™ Reign is the outer ripstop construction. Ripstop materials are woven fabrics that are reinforced and designed to be lightweight and abrasion resistant. For example, things like parachutes and yacht sails are often designed with ripstop materials. In the gym, ripstop material is great for jumping for a couple reasons. Durability: Are you clumsy and find yourself catching your feet on boxes or other implements often? Ripstop material is useful for resisting abrasions, tears, and early wear-and-tear. Lightweight: Each TriBase™ Reign weighs 10.2 oz., which makes it one of the lighter cross training models on the market. Plus, the ripstop material is very maneuverable. When workouts are constantly varied, so is the wear a shoe goes through. Ripstop helps slow early tears on the outer portions of the shoes when jumps don’t go as planned. So the next time you’re clipping the sides of boxes, the TriBase™ Reign will have you covered. Sprints and short runs have become the norm in functional fitness training, classes, and HIIT workouts. A great cross training shoe should be constructed to match all of these tasks and take on any challenge. The UA TriBase™ Reign tackles sprint-focused and short running tasks in a few different ways. Sprints: TriBase™ outsole promotes full forefoot ground contact to support the act of gripping and propelling an athlete forward. Medium Fast-Paced Runs: Lightweight Micro G® Foam midsole to keep ground reactivity high and an athlete’s heel striking impact minimal. Longer Runs (1-3 miles): Full foot rubber outsole and minimal heel-to-toe offset to offer a low-cut, minimalist design, so an athlete’s running mechanics will remain constant even when tired. So what type of cross training shoe will be best for supporting run mechanics and what does the science say? 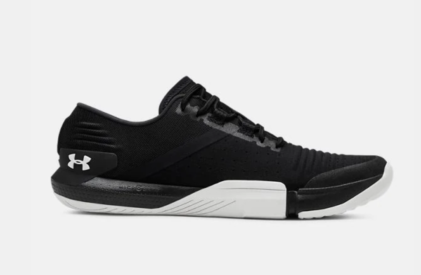 The Under Armour TriBase™ Reign offers a 2mm heel-to-toe offset, which makes them an incredibly low sitting shoe, which makes them great for short, sprint-focused runs. Research suggests shoes with thinner builds tend to perform better because they don’t alter run mechanics to a large degree. A study published in 2014 from the Gait & Posture Journal suggested very thin shoes influenced running patterns (1) to remain similar to barefoot running. On top of altering run mechanics, shoes with thicker midsoles have been suggested to actually increase risk of injury in newer runners. A study published last year in the Orthopaedic Journal of Sports Medicine compared maximal loading rates and impact peaks between maximal running shoes and traditional running shoes (2). After running a 5k, researchers suggested that the maximal running shoes had higher loading rates and slightly higher impact peaks, which are two factors that can typically suggest an increase risk of injury. In relation to the research above and short duration runs, the UA TriBase™ Reign has two major components going for it. The TriBase™ Reign has a minimal 2mm heel-to-toe offset and thin midsole, so it’s similar to what minimalist shoes feel like, which has been suggested to improve long-term running form. The Micro G® Foam midsole is minimal in design, reactive, and lightweight, so the TriBase™ Reign can help limit heel strike impact. So while, the shoes in the research obviously have higher midsoles compared to the low-cut TriBase™ Reign, it’s food for thought when considering your main running focus. If your goal is shorter runs and sprints, then the TriBase™ Reign is a great fit. Will The UA TriBase™ Reign Make You Faster? These shoes might not make you instantly faster, but if you prefer a low-cut, lightweight shoe for running, then they should fill those shoes pretty well…pun intended. The low-profile UA TriBase Reign offers a lightweight Micro G Foam midsole and strong rubber outsole to support sprints, lifts, and jumps. If you plan on lifting, especially with heavier barbell movements, having a stable shoe is a must. 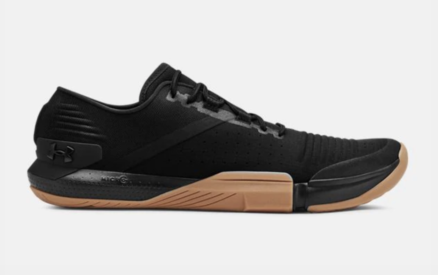 Over the last few years, cross training shoes have continued to see a decrease in midsole material and an increase in outsole stability, and the TriBase™ Reign is no exception. The combination of these two features makes the TriBase™ Reign a great option for supporting heavy weight — without the bulk of extra material. The question that many athletes ask is, what type of shoe is all-around best to lift in? This question can best be answered by breaking this broad initial ask into two smaller questions. Can You Lift In Cross Trainers? Cross training shoes like the TriBase™ Reign are starting to offer more construction features that are similar to what you would find in lifting shoes. For example, the TriBase™ Reign offers a firm and non-compressible rubber outsole, a high-density foam midsole, and low heel-to-toe offset. Wait, what about an elevated heel? An elevated heel is often thought to be useful for promoting squat depth and stability, but is it really needed? A study published in 2015 in the Journal of Undergraduate Kinesiology Research compared force production in the barbell back squat under four different footwear conditions (4). Researchers had subjects lift in, low-end powerlifting shoes, high-end powerlifting shoes, cross trainers with plates under the heels, and cross training shoes alone, then compared athlete’s force production. Based on their results, researchers suggested that none of these shoes offered significant advantageous results in regards to force production. A minimal heel-to-toe offset is ideal for dynamic workouts, as an elevated heel can alter mechanics in jumping and running movements. The TriBase™ Reign offers a 2mm offset and firm outsole, so for lifting purposes, this shoe fits the bill perfectly. Another question worth exploring when considering cross training shoes for lifting is: What’s your main goal? This question is a bit more simple, and it really comes down to your fitness aspirations. In the gym, the UA TriBase™ Reign can support multiple types of lifting goals whether they be strength, power, or endurance. Check out some of the construction callouts designed for each activity’s goal below. 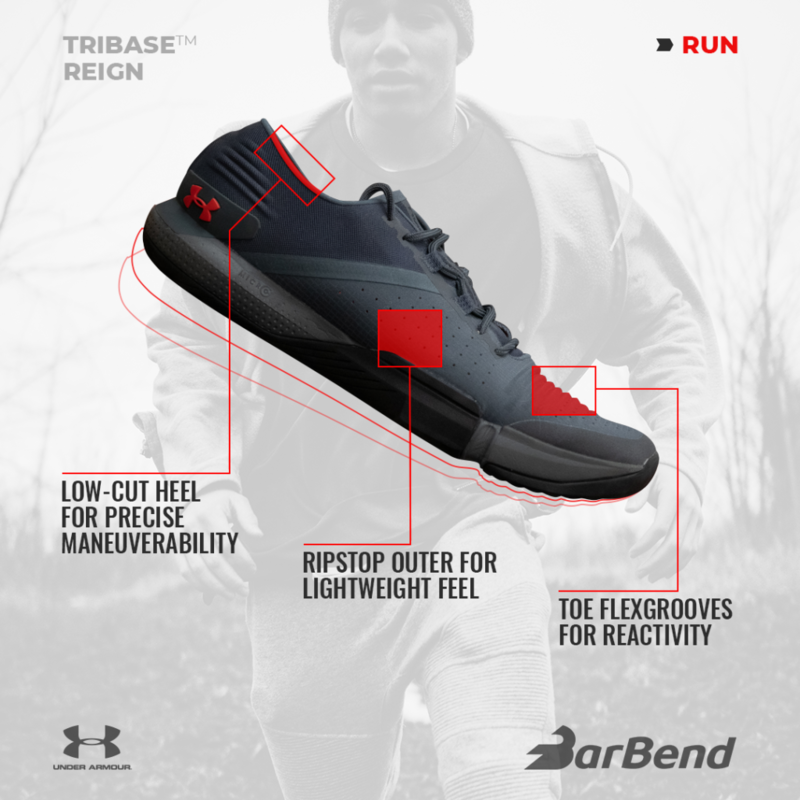 Is the Under Armour TriBase™ Reign for You? Athletes hitting heavy squats, power cleans, and snatches. Lifters who are performing agility workouts on a regular basis. Athletes in need of a shoe for shorter runs, sprints, and HIIT workouts. Recreational fitness goers taking the latest workout classes. Chambon N, e. (2019). Is midsole thickness a key parameter for the running pattern? – PubMed – NCBI . Ncbi.nlm.nih.gov. Retrieved 6 February 2019. Pollard, C., Ter Har, J., Hannigan, J., & Norcross, M. (2018). Influence of Maximal Running Shoes on Biomechanics Before and After a 5K Run. Orthopaedic Journal Of Sports Medicine, 6(6), 232596711877572. Sinclair J, e. (2019). Influence of running shoes and cross-trainers on Achilles tendon forces during running compared with military boots. – PubMed – NCBI . Ncbi.nlm.nih.gov. Retrieved 6 February 2019.